Your 3D wolf snout undies will doubtless be getting a little worn by now and you're planning on reordering soon. But wait! 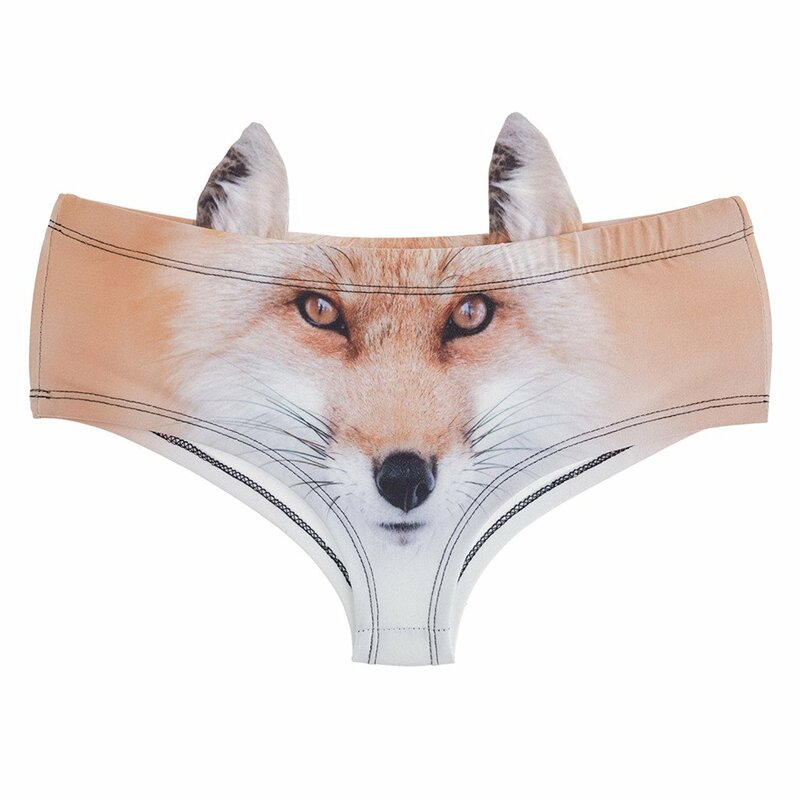 Check out 3D Animal Print Briefs With Ears. They come in several flavors—squirrel, pig, raccoon, fox and "British Kitty"—but are one-size-fits-all. At $8, though, you could always turn them into classy wall art if it doesn't work out. Made of polyester but the line is made of cotton, so cute and comfortable. If you like it, feel free to choose more patterns, buy 3 pieces, get one for free.